What do you think of Pantone's Colour of the Year 2017? 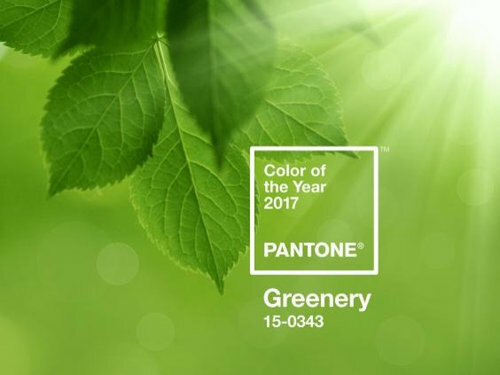 Pantone has revealed their colour of the year and for 2017, it's all about going green. 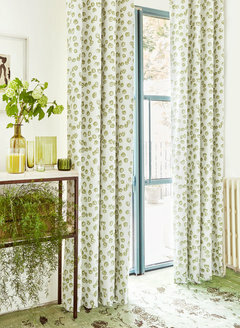 'Greenery' is the shade du jour and the colour company describes it as a "zesty yellow-green shade that evokes the first days of spring when nature’s greens revive, restore and renew." 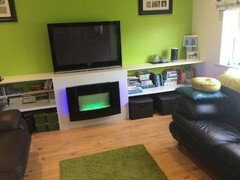 It looks a lot like Houzz green to me too... I love how vibrant it is! Adding a couple 'greenery' notes to your interior design is definitely a brave statement! What about this Heathfield & Co table lamp? Would you add this one? 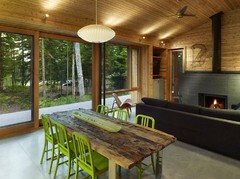 So Houzz-y, I love it! It is also a lovely spring like colour. 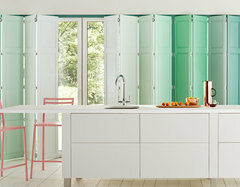 We are loving this bright shake-up to the interior design scene. It's refreshing, calming and a shade that we see all around us from luscious grasses to swaying leaves. We celebrate colours that are found in our beautiful, natural environment and green is one of these! 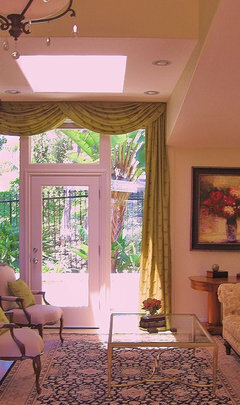 I've always been a big fan of gorgeous greenery and used it on a recent project. 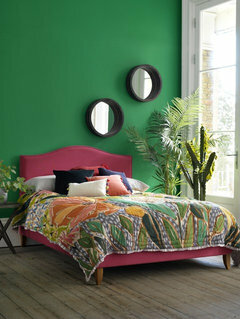 Just the vibrant, refreshing colour to wake up to! 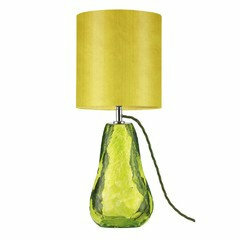 I love green but I'm more for dark, mossy, forest greens than bright, lime versions - not sure it's going to be my colour year! 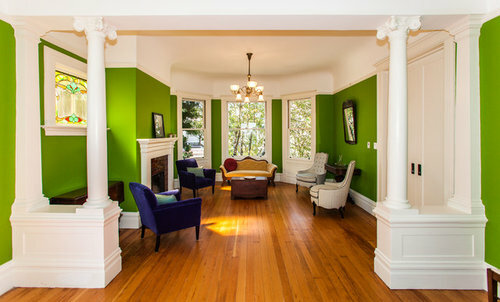 Although green is my favourite colour i detest lime green..
Greenery is a beautiful happy, fresh and modern natural color! 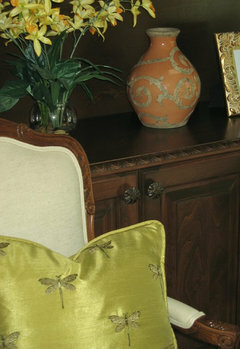 I love it and just recently used it on one of my San Diego CA interior design projects. We may have this for the brick wall in the conservatory. 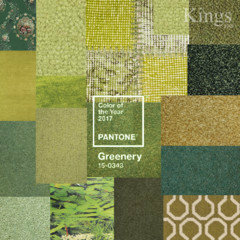 I love greens but this shade is difficult to live with, it is jarring and does not promote harmony. In other words it's too 'in your face'. It's like having halogen lights instead of mood lighting. Not a fan of green. When we first saw our house it was painted in shades of green, from the one colour card from fir to pistachio. Of course, I reacted, 15 years age I went chalk white and grey which I still love. I would love to use green but memories are still lingering. I would like the colour for accessories and odd touches. 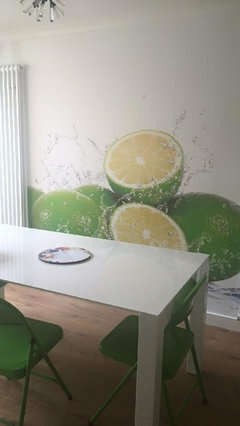 But I can't see me using it as full wall cover I like the idea of white units a green splash back as long as it was easy to change down the line. I thought greens would be on trend this year. All shades, complement so many colours. I have this colour green in my hall but only as an accent colour. Greens are always so easy to use and great for bringing the outside inside. I like this green. I never thought I'd use such a colour, but I livened up a small bedroom I use as my sewing room and it is such a happy uplifting colour; I love it. Wow...I'm on trend! Had this as my accent colour in my open plan kitchen and dining rooms. 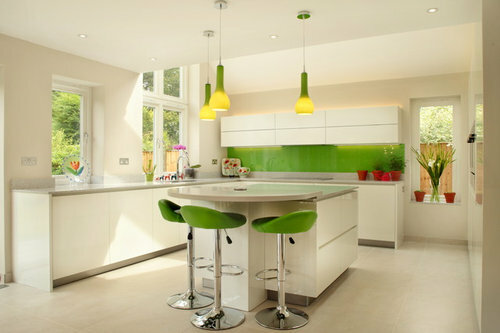 Found this zesty green for kitchen cupboard plinths and fitted last year; they look great. Although it is a nice colour and will add some vibrancy to any interiors, we feel it's a little late. Green has been big this year for SS16 so not sure, although trends can run longer than expected. I love it ! It looks like an apple green? Have they had a colour for every year or is this a new thing ? When using the description yellow-green I expected to see chartreuse. This green is more of an apple green as someone said. Although very fresh I would just use as a background for fabrics. Like it . Goes well with grey of all shades but also navy and coral for a more colourful look . Refreshing alternative to monochrome trend. My favourite colour is green, but I find this shade to be a bit blah... they should have chosen a slightly fresher shade of green! This colour is great for bringing a tropical element to an outdoor room, with complimentary architectural and oversized plants. Used as an accent colour this shade will be a great "pick me up" for neutral decor schemes- perfect for kitchen/breakfast rooms. 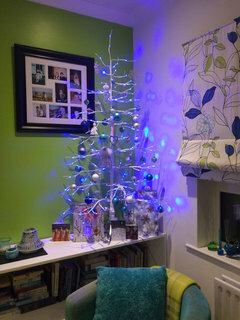 However it is a very strong colour and could easily overwhelm a room and the people in it! 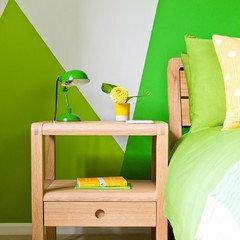 Bright, Spring-like, zesty is not always what a room needs and whilst green is a restful colour, thus shade is not! Will work best in spaces with lots of natural light. Loving the green - bring it on! I must have been ahead of my time, but I painted a bathroom this colour about 20 years ago. It was painted over about a fortnight later when I knew beyond doubt it was simply unliveable! I really do not like the colour green at all, except for in the garden !! 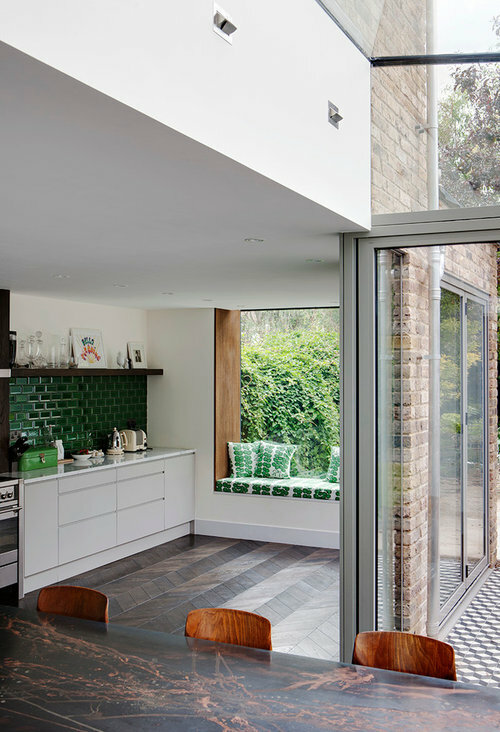 Love the children's room and the London fields house. I like green, but it's a bit too green for me. It might feel like living with Astro Turf! I like green but this shade scares me! Green is the most popular colour chosen for this kids dinosaur height chart in 2016. Looks like our customers are ahead of the curve! The green revolution is fresh, invigorating and full of life. Looks fab in some of the rooms, great in the right setting. I personally, rather than professionally, had a green kitchen in my last property and it was offset by a lovely oak worktop and green ceramic ceiling lamps. 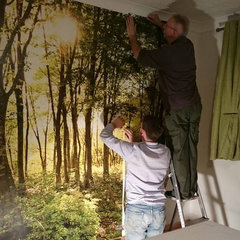 It was a very relaxing and soothing green in my opinion, apart from the evenings it was my turn to rustle up the dinner! Which Pantone colour of the year do you prefer? POLL: What do you think of Pantone's colours of the year 2016? Which pattern will we see trending in 2017? What do you want to read about on Houzz this year?